Come join us at Happy Buddha North for an hour of purr-fect workout for your body and soul. 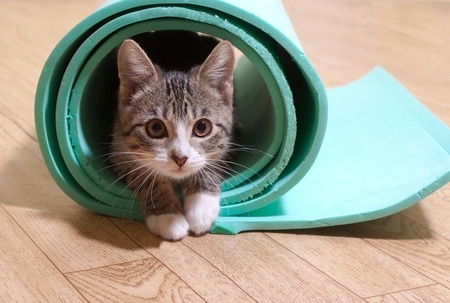 Enjoy one hour of yoga while eligible kitties of all ages wander and play. After yoga, you will have the opportunity to play and apply to adopt any of the cats. Cats on Mats will be an all level class. This event is sponsored by the Goshen Humane Society and Happy Buddha Yoga. Cats on Mats = $25 To register, click here.